In 1722 at the age of 16, Ben Franklin was working as an apprentice to his older brother, James, a Boston printer. Young Ben Franklin never got anything he wrote published so he wrote 14 letters under the assumed name of a woman, Silence Dogood. He secretly slipped each letter under the door of the print shop of the New England Courant in the cloak of darkness. James decided the letters were definitely suitable for publication. For us today, the letters give a good insight into the time and the man who wrote them. The letters poked fun at various aspects of life in colonial America, such as the drunkenness of locals, religious hypocrisy, and the persecution of women. Silence Dogood even had views about the fashion for hoop petticoats. “She” was particularly fond of ridiculing Harvard. She complained that it had been ruined by corruption and elitism, and that most of its students learned nothing there except how to be conceited. The readers of the Courant thought she was a charming woman. So charming, in fact, that a few of the male readers wrote in, upon learning that she was single, and offered to marry her. Unfortunately for her would-be suitors, as we know, Silence Dogood did not exist! Franklin concealed his authorship of the letters from his brother. But he was pleased to listen in as his brother and his friends approvingly discussed that first letter and decided to place it on the front page of the paper. 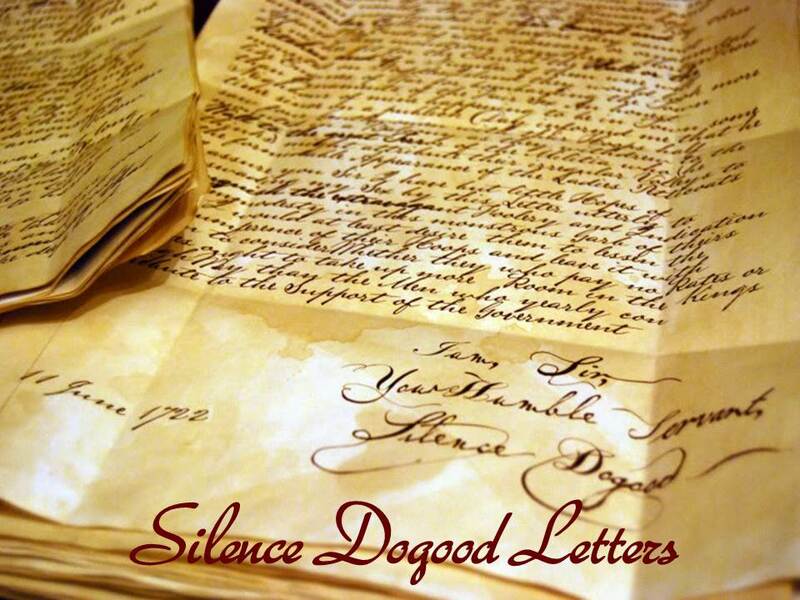 Franklin wrote the fourteen Silence Dogood letters between April 2nd and October 8th, 1722. When he stopped writing the letters, his brother placed an ad in the paper in an attempt to find out who the mysterious Silence Dogood really was. When Ben Franklin confessed to his brother that he was the author, his brother was furious. Soon after, Ben Franklin left his apprenticeship and went to seek his fortune in Philadelphia. He (Franklin’s brother, James) had some ingenious Men among his Friends who amuse’d themselves by writing little Pieces for this Paper, which gain’d it Credit, and made it more in Demand; and these Gentlemen often visited us. Hearing their Conversations, and their Accounts of the Approbation their Papers were receiv’d with, I was excited to try my Hand among them. But being still a Boy, and suspect that my Brother would object to printing any Thing of mine in his Paper, if he knew it to be mine, I contriv’d to disguise my Hand, and writing an anonymous Paper I put it in the Night under the Door of the Printing House. The submission Benjamin Franklin wrote and slipped under the door to the newspaper was a letter supposedly written by a minister’s widow named Silence Dogood. The favorable reception of the first letter prompted Franklin to write a second. In all, fourteen essays by Silence Dogood appeared in the Courant. James Franklin and his friends knew that “Silence Dogood” was a pen name and not a “real” woman. They concluded that the writer using the pseudonym was a clever and well-read man of town; they had no idea that the real author was James’s younger brother. Eventually Benjamin admitted that he was the author of the Silence Dogood essays and got some favorable attention from the “Couranteers” but perhaps alienated his older brother, James. Benjamin Franklin, in his Autobiography, recalled that James cautioned against being too vain because of the reception the Dogood essays received. This vanity (real or perceived) might have contributed to the rift that was developing between the younger brother/apprentice and the older brother/master printer.